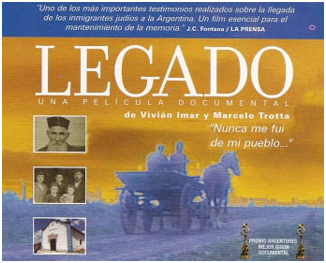 The International Raoul Wallenberg Foundation is happy to announce that the Spertus Institute of Jewish Studies in Chicago, Illinois, will screen Legado (Legacy). 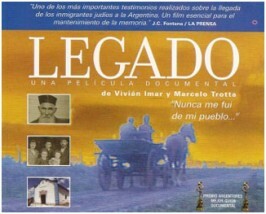 Legado, an award-winning film produced by The International Raoul Wallenberg Foundation, is a documentary that tells the story of the Jewish colonization in Argentina. Toward the end of the 19th century, approximately 800 Jews arrived in Buenos Aires, fleeing the persecution from Czrarist Russian pogroms. This film, in Yiddish and Spanish with English subtitles, tells their story. Rabbi Dr. Victor Mirelman will introduce the film and lead a post-screening discussion. Rabbi Dr. Victor Mirelman , a native of Argentina, teaches Jewish history at Spertus. A leading expert in the history of the Jews in Latin America, he is rabbi emeritus of West Suburban Temple Har Zion in River Forest. Event Details: The event will take place on Sunday, October 30, 2011 at 2:00pm at the Spertus Institute of Jewish Studies facility at 610 S. Michigan Avenue, Chicago, IL. For more information, please call 312.322.1773 or click here. Tickets cost $18 | $10 for Spertus members | $8 for students. You can find more information about Legado by clicking here.